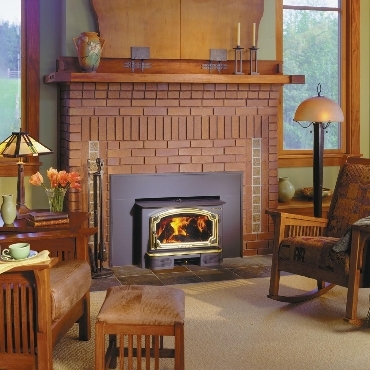 Transform that inefficient masonry fireplace with this insert and still enjoy the sights, sounds and scents of a wood burning fire. Enjoy the view through our large glass door. Heat up to 2,250 sq. ft. for 12 hours on one load of wood.